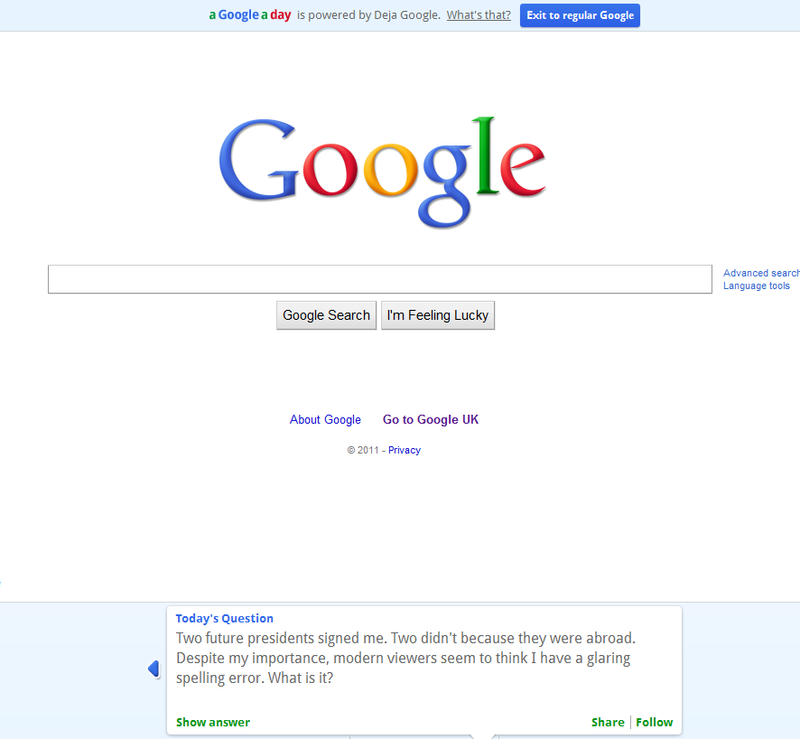 Google are pushing a new trivia game called A Google a Day. It's a simple idea; you get a quesiton and the Google interface. The question encourages you to search but you still have to be clever to come up with the answer. Here's the thing, though. You can look in the code to see what the questions will be for the rest of the week. Yeah. I should have mentioned. This post containers spoilers. My name is Robert. One day before my brother Rohan's 19th birthday, our father had an album on the Billboard 200. Name the album. Talkin' Blues is the answer so I predict we'll see a surge in searches for that. Along the way we'll see people searching for Rohan Marley, Bob and Robert. If I'm right and this blog had impression ads then I'd be having a good traffic Tuesday. 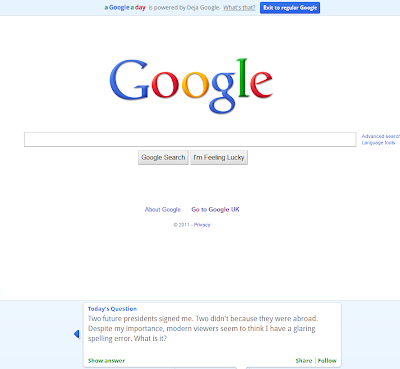 Of course, Google may be sly dogs and change the questions in the code. This could be a content farm honey pot. In the interest of science; I'll take the risk! Did Google see this coming? You are searching Deja Google – A wormhole inspired time machine that enables you to solve today's puzzle spoiler free by searching the Internet as it existed before A Google a Day launched. The question is whether this works? Whether blog posts written a day in advance or a few days in advance count as "existed before".